The system automatically assembles and tests Linear Potentiometers for the Automotive Industry, producing over 10,000 per day....... faster than other associated equipment in the plant. 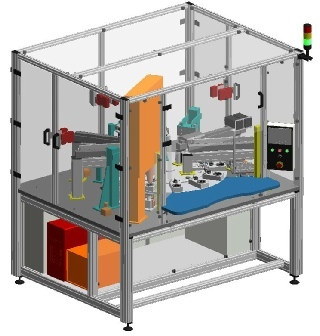 The technical challenge for this project was to design a machine that could automatically assemble six parts and incorporate a number of diverse processes. These included ultra sonic welding, hot staking, resistance welding, spring detangling and feeding, seal forming and load cell testing. Added to this complexity was the need to have the machine on as small a footprint as possible. The resultant machine was based upon a 16-station rotary table. This 3D CAD model shows the machine at concept stage.